In recent months Google has received dozens of copyright infringement warnings from MPAA-affiliated movies studios. While most of these notices are directed at users of Google's public Wi-Fi service, a few also appear to be directed at employees at Google's headquarters. The movie studios are not happy and are warning the search giant that it might get disconnected from the Internet. Every year, the major movie studios and record labels send out tens of thousands of warnings to Internet users who are suspected of sharing their content using BitTorrent. These infringement notices are meant to inform users of their wrongdoings, and to convince the recipients to never download anything again. The process works as follows. 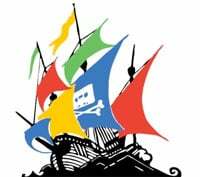 The copyright holders hire companies such as BayTSP and MediaSentry to track down people who share certain titles on BitTorrent and other file-sharing networks. These companies then join the swarm and request files from others. When someone shares a piece of the file with them, they log the IP-address, look up the ISP and send out an infringement notice automatically. Most of the notices are sent out to the larger ISPs who are then asked to forward them to the customers in question, but search giant Google has also been receiving quite a few. A search on ChillingEffects – a site that collects some of the DMCA notices that are sent to Google – reveals that more than 100 of these automated warnings were sent to Google in the past several months. Since Google also offers Wi-Fi hotspots in some cities, most of the infringers are not actually sharing material directly from Google headquarters. However, in some cases these warnings do appear to be aimed at Google employees. This is an awkward situation for a company that is trying to help out the entertainment industry, and has even revealed a censorship policy towards certain BitTorrent-related terms. But there is more. If we believe some of the notices sent to Google, the company is at risk of losing its connection to the Internet. “Copyright infringement also violates your ISP’s terms of service and could lead to limitation or suspension of your Internet service. You should take immediate action to prevent your Internet account from being used for illegal activities,” the movie companies write in various letters. The above text is of course intended for average consumers, but in this case it appears to be directed at Google. Not that we (or Google) have to worry about it much. Although the copyright holders use strong language, these kind of notices are nothing more than a warning, and they never lead to legal action. At the bottom of each notice there is generally some info about the alleged infringer, in the following format. Of the 100 latest infringement notices received by Google for sharing copyright works, most of them are associated with IP-addresses used by Wi-Fi customers while a few point to Google’s headquarters. Even though they are posted on ChillingEffects (some redacted, some with full IPs) it is impossible to tell whether the company has forwarded them to employees, if these are traceable at all. The movie companies, however, do have some advice for Google. “An MPAA website, www.respectcopyrights.org, offers step-by-step instructions to ensure that your Internet account is not being used to violate the copyright laws. Also, the site can point you to an array of legal choices for enjoying movies and TV shows online. You can also learn there how theft of motion pictures and TV shows damages our economy and costs thousands of Americans their jobs,” they write. The most recent notices received by Google were sent on behalf of Paramount Pictures and Columbia Pictures for the illicit sharing of The Fighter and The Green Hornet respectively. In total, Google has published 20+ of these warning letters in the last 30 days. c There are 204 comments. Add yours?